This is the first of many Scavenger Hunt Ideas that I will be sharing with you on the blog. I have so many fond memories of going on scavenger hunts when I was a kid. They are especially fun if you are in competition with another person or team to see who can find everything on the list first! For this Holiday Scavenger Hunt I tried to include all the things that bring a smile to my face when I think of Christmas – which is why I excluded, long lines, drunk Santas, fruit cake, and ugly sweaters. Oh wait! On second thought, I should have included the sweaters. I would have added peppermint mochas, adult eggnog, and early bedtimes to the list but I thought the kids might not appreciate it so much so I left those items out. Click image for PDF to print! I hope you like this fun little activity. Do it together as a family or send Daddy out with one of the kids for a holiday treasure hunt date that ends with some hot cocoa topped with extra whipped cream! Make sure to print it out and add your own ideas on the back. 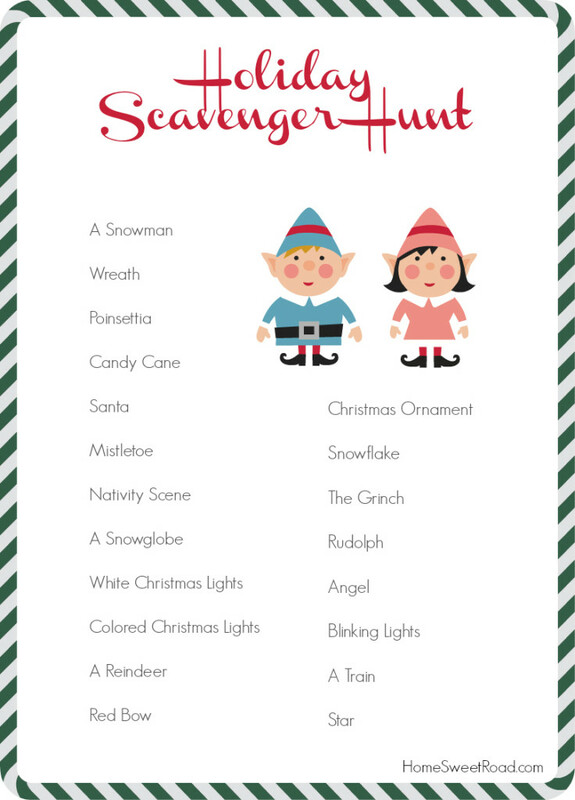 We all have our own special family traditions and things that make the holidays extra meaningful so jot a few of those down and voila, you have your own custom scavenger hunt list that your kids will love! Fun, FREE, and memorable! Love it. 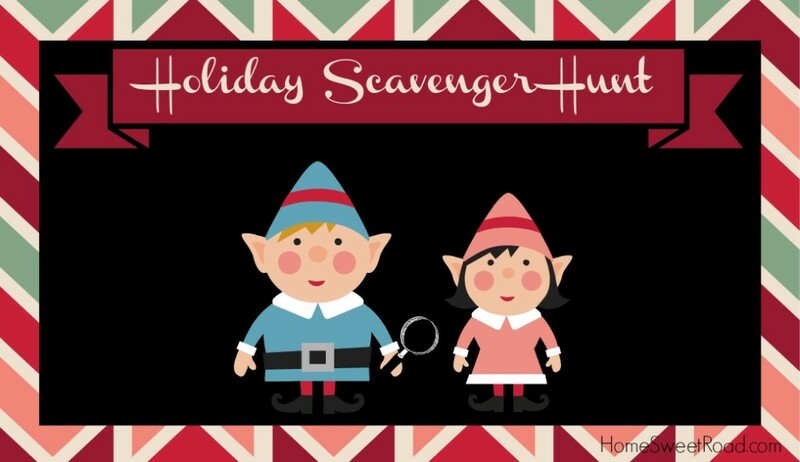 Do you have any fun Scavenger Hunt Ideas that would be fun to do as a family? I’d love to hear. Also, if you haven’t yet, make sure to check out my Christmas Pinterest Board. I am also filling out some gift boards as well if you are looking for some ideas on things to buy your kiddos!